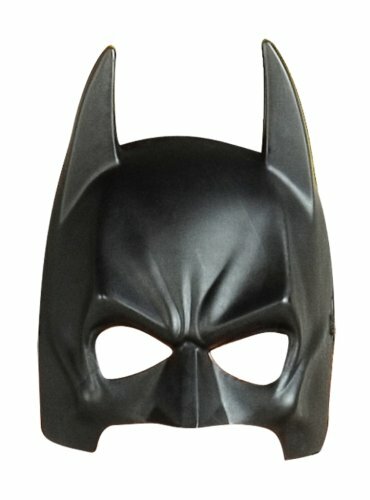 Be the cape Crusader for your halloween party in this Batman mask. 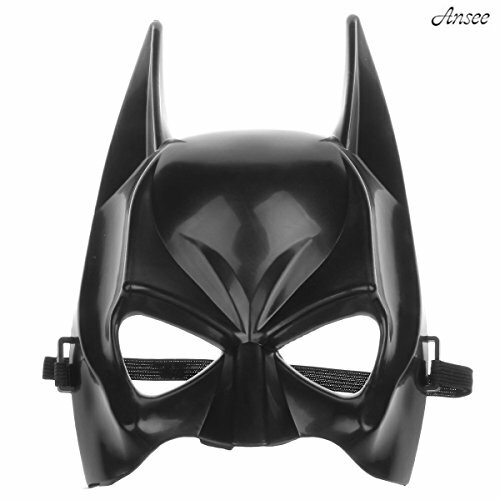 Our Batman The Dark Knight TM Injection Molded Mask is the perfect item for Batman TM fans. ...And where, and where, is the Batman? 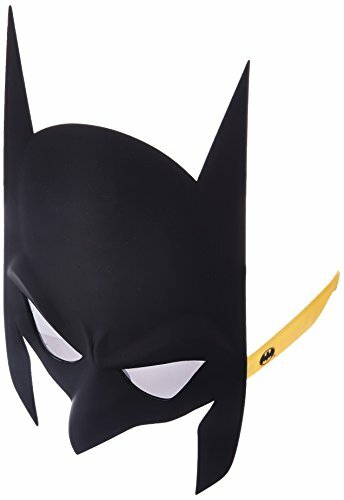 It's you, right here with these Batman Mask Sun-Staches! Sun-Staches provide 100% UV 400 protection and ultimate party fun. These one-size-fits-most sunglasses transform you into the star of the show; whether it’s a themed party, pop culture costume, or your favorite character. As seen on Shark Tank, these sunglasses are comfortable and perfect for adults and children of all ages! Sun-Staches can instantly transform anyone into the life of the party or the most interesting person at the supermarket. For the adults, it's the perfect way to bring out your inner kid-at-heart personality. For kids, it's a way to show off a favorite character or just have fun! Would you rather play a game of ultimate Frisbee with some boring guy without glasses or your neighbor who just happens to be wearing a leprechaun mask and having the time of their life? Our thoughts exactly. The Dark Knight Rises is the third installment and said to be the final of Christopher Nolan's Batman film series. 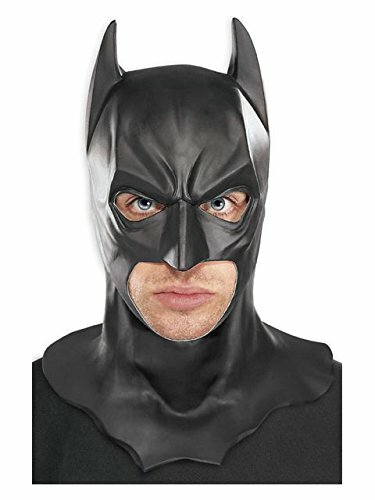 Join the fun with officially licensed accessories and costumes; fun all year around, for movie previews, and Batman parties. 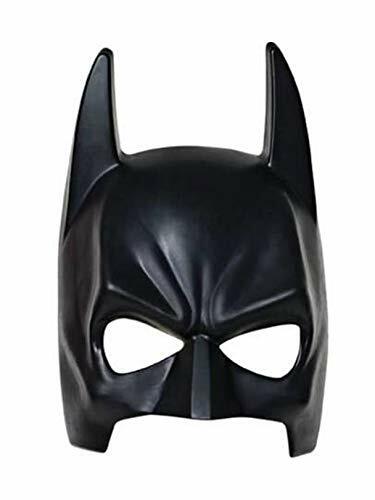 Remember the Gotham City of old, and your friends Commissioner Gordon, Barbara Gordon, and Alfred, as you don your modern attire to save the world from villains. 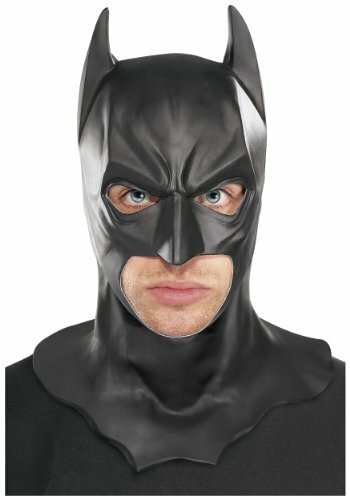 Rubie's costume company has been bringing costumes and accessories to the world since 1950; as the world's leader we take seriously the mission to make dressing up fun. Mascots, rental quality costumes, masks, wigs, accessories, shoes, and every significant licensed costume you want to wear can be found under the Rubie's brand. Still family owned, still family focused; Rubie's brings you fun for every season, Halloween, Christmas, Mardi Gras, Easter, and everything in-between. 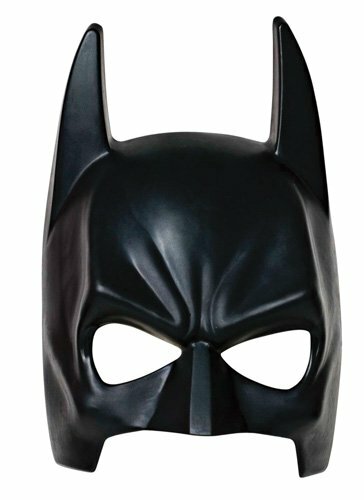 Batman Mask - Adult Full Mask consists of of all vinyl complete over-the-head Batman mask. 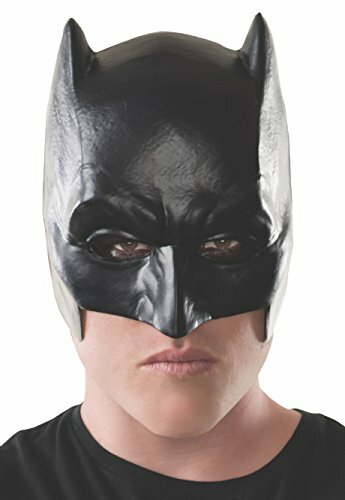 Just like the one used in the Batman The Dark Knight (tm) movie. One size fits most adults.